When I heard that Babylon 5’s creator J.M. Straczynski would be teaming up with the Wachowskis for this project I was beyond excited: Babyon5 holds a very special place in my SF “pantheon”, since it’s the show that changed my perceptions and preferences for televised science fiction in a major way, so I was quite looking forward to enjoying more of its creator’s work. With this I don’t mean to make short shrift of the Wachowskis’ work, not by a long shot, but I’m not as familiar with it as I am with Straczynski’s: of course I recognized the famous siblings’ hand in many places of this show (like the slow-motion fight scenes that reminded me of Matrix, or the seamless shifts in perspective I already admired in Cloud Atlas), but what I was looking for here was more of the magic that captivated me with Babylon 5. 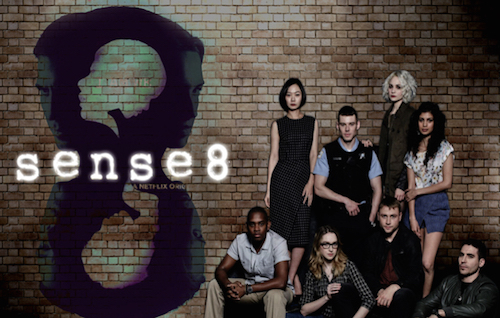 Sense8 imagines that eight people, scattered all over the world, find themselves able to share their consciousness connecting in a way that allows them to perceive each other’s thoughts, emotions and experiences. The group (or sensate) whose story we follow is made from very different people: Will, a Chicago policeman; Capheus, an independent bus driver from Nairobi; Sun, one of the CEOs of a Korean financial firm; Riley, a DJ born in Iceland and working in London; Nomi, a trans-gender political blogger and hacker from San Francisco; Wolfgang, a Berlin safe cracker; Kala, an Indian girl about to be married; and Lito, a Mexican actor trying to hide he’s gay. Their “birth” as a sensate happens when Angelica, another gifted individual, triggers their connection in a scene mirroring actual childbirth: Angelica is assisted – mentally if not physically – by her lover Jason who warns her someone is on her tracks. It’s the mysterious and chilling Mr. Whispers, who – as we will soon learn – scours the world in search of sensates: it’s clear that this new evolutionary step in the human race engenders equal fear and curiosity, and the last parting message from Angelica to her “children”, before committing suicide, is a warning about being hunted for what they are. 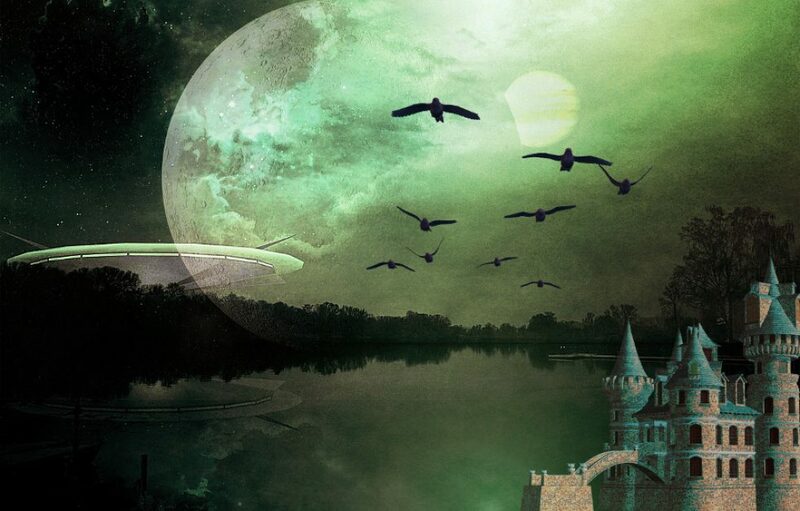 Of course the eight initially believe they are losing their mind: how could it be otherwise when you find yourself confronted with people only you can see, or are transported in a faraway place without warning? But little by little, and with the help of Jason who – despite being a fugitive on the run – tries to impart necessary information for the group’s survival, they start to understand what they are and even to cooperate with each other in times of need, at them same time strengthening the bonds between them. All this while being hunted – and persecuted – by Mr. Whispers and his minions…. I must admit that the first two episodes of Sense8, that I watched back-to-back, were somehow disappointing: despite the fascinating premise, despite my understanding that the show needed to introduce the eight main characters and that this would require time, I found the pace very slow. I also understand now, with hindsight, that I was disappointed in not finding the same deep, spell-binding speeches that were the trademark of Babylon5 (some of which I even committed to memory…), while here the dialogue is quite spare by comparison: there was a small voice inside my head crying that it wanted “it all back the way that it was” (and yes, that’s a B5 quote in case you’re wondering). I asked myself – as did some friends with whom I discussed the show – where JMS’ imprint was in all of this. Yet I persisted. And was rewarded. Sense8 is the kind of story that grows on you, that builds up piece by piece like a puzzle: it requires patience, and faith. What I perceived as slowness was instead the painstaking buildup of the shared consciousness between the eight strangers: we see events through their eyes and at the beginning they know nothing at all and so we, the viewers, must stumble along the road as they do. Like the newborns they are they collect, slowly and sometimes painfully, whatever clues cross their path, like a baby’s their sight is blurry and only with time are they able to focus on what they are and what they can be, and do. There is an interesting scene in second-to-last episode in which each of them remembers/experiences the moment of their birth: even if the repetition might seem excessive, it serves to underline how they are truly being born again in that moment, when the bond connecting them finally solidifies. The core story is not about unknown talents waking up among normal humans, it’s about ordinary people finding themselves in extraordinary circumstances and having to deal with them to the best of their abilities. About finding your strength in the most unlikely places. And here I found what I was looking for, what JMS does best – giving you a wonderful insight into the human soul. Each one of the main characters is somewhat flawed: their personal history hides a trauma, or a weakness – or both. The journey they start, first alone and then together, requires them to overcome those faults or work around them, and at the same time help the others along the way: not everyone succeeds, not everyone is strong enough to make it, but they do try – and it’s enough. By the end of this first run of episodes I came to care for each of these characters, both the ones that were instantly likable – like Capheus or Riley – and the ones that required more work – like Nomi or Wolfgang – because they gave so little away of themselves that it felt like there was an impenetrable barrier between me and them. But as their lives, and their past, were revealed in small, incremental brush-strokes, I saw them for who they were and rooted for them, worried about what happened to them. Little by little, through the magic of good writing and acting, they had become real. This is indeed what JMS does best, get you invested in a character’s life, make them become flesh and blood people you care about, even the ones that start out as not-so-likable. This is one of the best surprises of the story-arc, that our perception of these people changes over time, because in the end “no one here is exactly what they appear”, as another famous B5 quote goes. This first season of Sense8 is therefore more dedicated to laying the groundwork for what must come, and the time devoted to it was time indeed well spent: Season Two will certainly take us into the heart of the matter. I more than look forward to it. 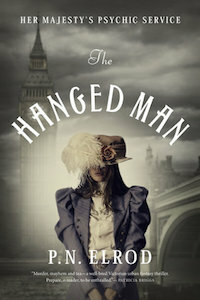 A fascinating blend of history and fiction, Mayhem takes place in London toward the end of the 19th Century, at the time when the killings attributed to Jack the Ripper crossed over with another series of gruesome crimes labelled “The Torso Murders”, so called because the killer decapitated his victims and threw their dismembered remains in the Thames. Dr. Thomas Bond, the surgeon working for the police much as a modern crime analyst would, and (as I learned) a real-life figure, is the main point-of-view character, the only one whose thoughts are relayed in first person: I found this narrative choice both peculiar and compelling, since Dr. Bond is not the perfect, cool-minded scientist one could expect to find in this kind of story, not by a long shot. He is delightfully human, fallible and flawed, a lonely man suffering from doubts about his own ability to face the challenge posed by this mysterious killer, and a man who feels the terrible burden of the crime scenes his work brings him to witness. Mainly because of this, he’s prey to a constant background of anxiety that in turn generates insomnia, his constant companion in the past few months before the start of the novel: in an attempt to stave off both symptoms, Bond doses himself with laudanum and opium, indulging the latter (and growing) addiction in the most disreputable dens of London’s seedy areas. One of the main themes of the story is indeed Dr. Bond’s slow descent into hell, hammered on one side by the helplessness hanging over him and his colleagues as they remain impotent spectators of the continued carnage, and on the other by the progressive lack of necessary lucidity and coldness as the drugs and increasing fatigue start to take their toll. Yet, it’s through his visits to opium dens that he catches sight of a peculiar figure that will have unexpected developments on the hunt for the Torso Murderer, and the creation of a strange, uneasy alliance with equally strange people who have been touched, each in his own way, by the evil that’s spreading through London. 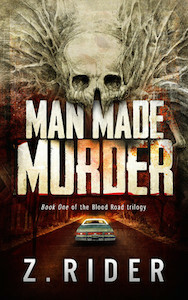 This is the point where Mayhem departs from the fictionalization of historical events and takes a decided supernatural turn, because there is much more than “simple” human wickedness behind the horrifying chain of murders. The mysterious priest hunting for the ancient evil and poor Aaron Kozminski (a Polish refugee from pogroms) are two sides of the same equation, the hunter and the haunted: the former giving chase all over Europe to the dreadful Upir, the creature hiding in rivers, that possesses its unfortunate victims feeding on the horror it forces them to unleash; the latter able to feel the tide of wickedness and being helpless to do anything about it, even to prevent the resulting madness from infecting his mind. If the priest remains something of a cypher, his scant revelations adding to the enigma rather than shedding some light on it, Aaron is a more definite figure, a helpless victim of his own ability to see glimpses of the future and to feel the encroaching evil. Dr. Bond finds himself in the middle of this peculiar dynamic, first dismissing and then accepting the priest’s information on the Upir, but never fully understanding or trusting the man’s motivations or his character, while he shows a measure of compassion for Aaron, despite the huge social and character differences, a sort of bonding born out of both men’s isolation: where Bond feels distant from his friends and co-workers because of his secret addiction and, later, for the burden of secrets tied to his mission, Aaron is disconnect from everyone, including his own family, by the intangible taint of madness and the far more tangible layers of grime he’s covered with, since he refuses to touch water, the Upir‘s natural sanctuary. The novel develops the story from many angles, advancing it through the p.o.v. of secondary or lesser characters as well, the most poignant being the killer’s victims’: all of them women of the lower classes forced by circumstances to sell themselves on the streets, therefore becoming easy prey for the Upir‘s host, who is able to attract them with the illusory lure of money, food, or momentary comfort from their hardships. I found that these glimpses into the times’ social structure added to the novel’s background in an interesting way, as did the excerpts from newspapers’ reports: they gave the story a realistic flavor that counterbalanced the supernatural elements quite well. What’s more important is that this story, despite the core themes, the escalating tension and the pervasive horror, never needs to resort to gory details to engage the reader’s attention or reactions, on the contrary the dread comes rather from the soul, from the juxtaposition of the ordinary with the horrific, something that the author manages with effortless skill. I’m certain that the second book in this series, again centered on the figure of Dr. Bond, will be equally compelling. This is my first “offering” for READERS IMBIBING PERIL X, an event running from September 1st to October 31st, 2015. Follow the link to learn more! 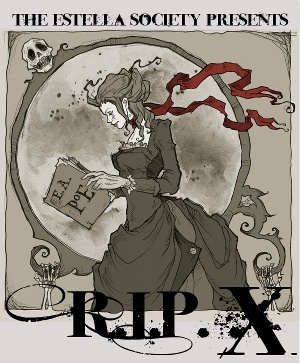 Thanks to Lynn’s Book Blog I discovered a fascinating event running from September 1st to October 31st: it’s the tenth anniversary of Readers Imbibing Peril (or R.I.P. X). Created by Carl V. Anderson from Stainless Steel Droppings, will be run this year by the Estella Society, and HERE you can find all the details your heart desires. In short, it will mean sharing thoughts on books (or movies, or tv) that fall into these categories: Mystery, Suspense, Thriller, Dark Fantasy, Gothic, Horror and Supernatural – and, I believe, anything that mixes and matches them or falls into the shady corners between the various genres, who are noted for the abundance of said corners. The intriguing words “what if…?” are indeed the catalyst for the most interesting narrative experiments, and I’m certain that I will discover many fascinating themes in the course of this event. My choice has fallen on PERIL THE SECOND, where I will read and review two books (Tainted Blood by M.L. 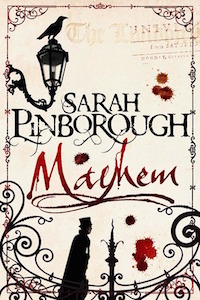 Brennan, and Mayhem by Sarah Pinborough) and PERIL ON THE SCREEN, where I will revisit one of the most dark, moody and above all scary episodes of Dr. Who, Blink.